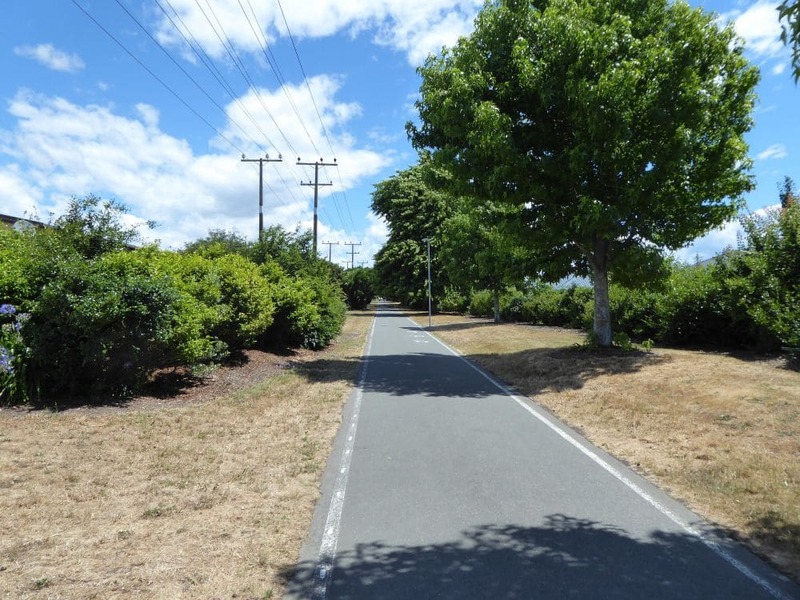 The Railway Reserve is one of Nelson’s greatest infrastructural assets, providing an almost unbroken length of off-road shared pathway linking Nelson, Stoke and Richmond. As the name suggests, the pathway follows the historic alignment of the Nelson-Glenhope railway. It is a highly popular and safe route for commuters, students and recreational users, and numerous roads, access ways and other pathways connect to it. 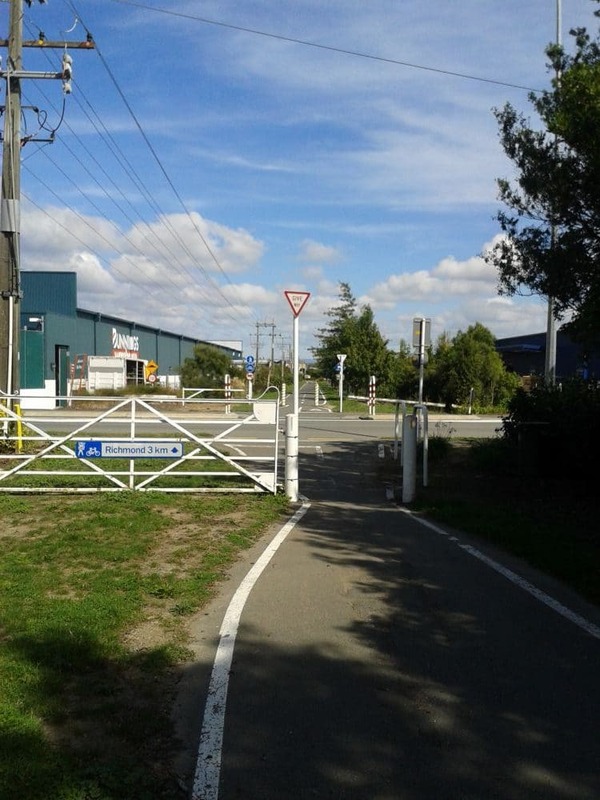 The northern end of Railway Reserve Pathway begins at St Vincent St, while the southern end begins at Orphanage Stream, between Saxton Field and Whakatu Coastal Pathway. As the Railway Reserve Pathway passes through nearly 8 km of urban area, there are numerous points of entry and connections to other pathways and tracks. 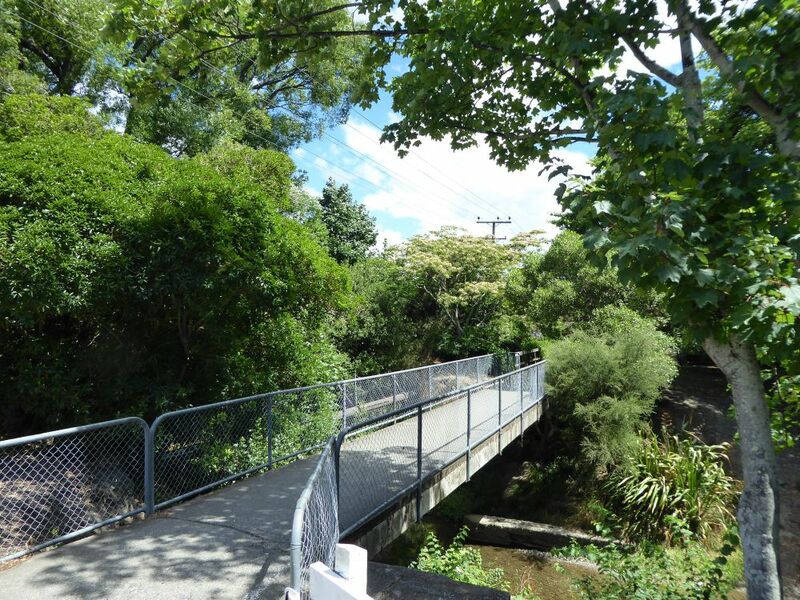 There are two direct connections to Whakatu Coastal Pathway via underpasses beneath Whakatu Dr; one at Quarantine Rd, and the other at Orphanage Stream. At St. Vincent St, the pathway has a gradual incline to the saddle above Bishopdale. Along this section there are access ways to Boundary Road, Tipahi St, Tukaka St and Vanguard St. 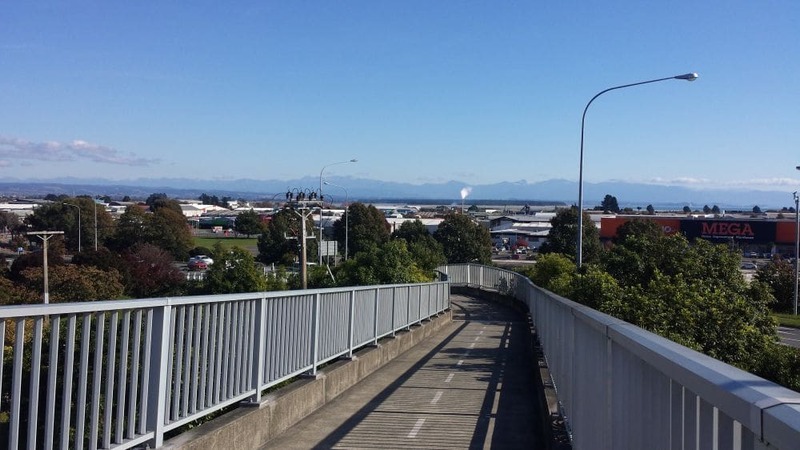 The pathway descends down Beatson Rd and continues alongside Whakatu Dr to Gracefield St Overbridge, and then across David Langdon Overbridge. An underpass connects to Whakatu Coastal Pathway, adjacent to World of Wearable Art. Heading south from the overbridge, the pathway heads in a straight line all the way to Songer St, with a very gentle uphill slope. Along this 1.8 km section there are road crossings at Jellicoe Ave, Newall Ave and Andrew St. Cyclists and pedestrians have priority at these crossings. There are also access ways to Fergusson St, Bledisloe Ave, Freyberg Ave and Cobham Cres. At Broadgreen Intermediate there is a four-way junction with Poorman Stream Walkway. South of Songer St, the 1.9 km stretch to Saxton Road West has a gentle downhill slope. There are no road crossings on this section, though there are access ways to Byron Pl, Marlowe St, Standish Pl, Packham Cres, and Lucy Murcott Pl. Orchard Stream Pathway branches to the right adjacent to Byron Pl. Cross Saxton Rd West, and continue for another 100 m to the junction with Orphanage Stream Pathway, which marks the southern end of the Railway Reserve Pathway. At this junction you can travel left to Saxton Park via an underpass beneath Main Rd Stoke, right to Whakatu Coastal Pathway via an underpass beneath Whakatu Dr, or straight ahead across the bridge over Orphanage Stream to Wakatu Estate Industrial Park.